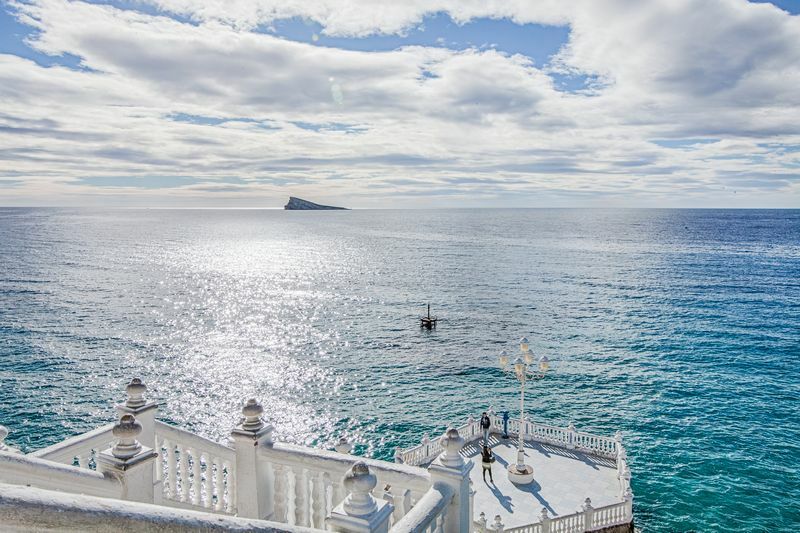 Benidorm is the most visited tourist resort on the Costa Blanca Coast of Spain. 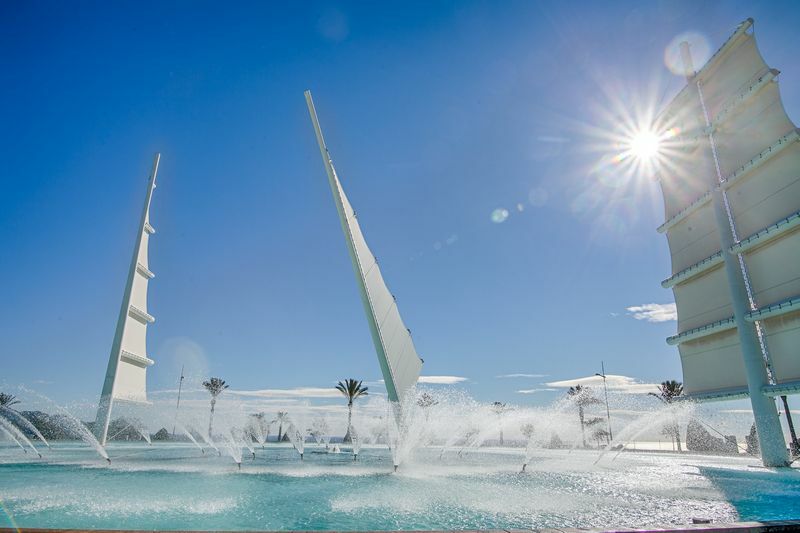 It has the Mediterranean Sea to swim in, great beaches and it is a busy resort packed with bars, restaurants and clubs. No wonder it is so popular. 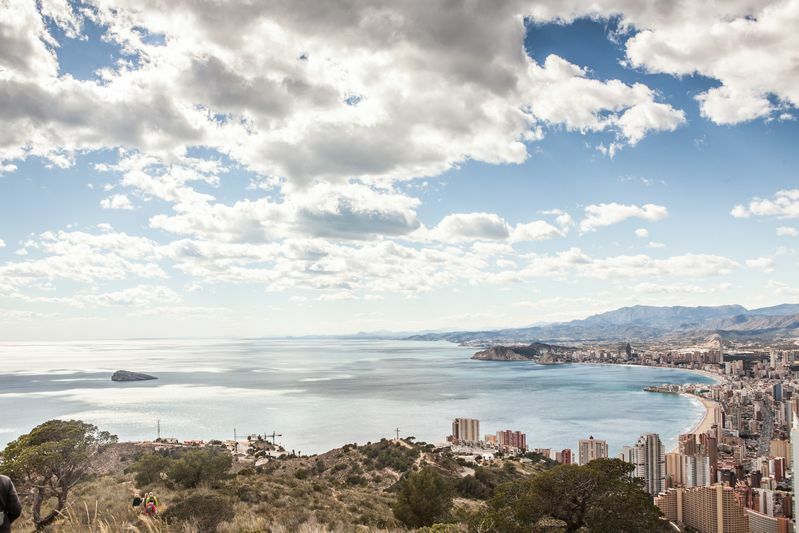 With the fifth largest population in the Alicante province, Benidorm is located 45 kilometres northeast of the city of Alicante, and just south of Altea. It is the central destination on the Costa Blanca with its dominant skyline, sometimes being called the “Manhattan of Spain” due to the skyscrapers. 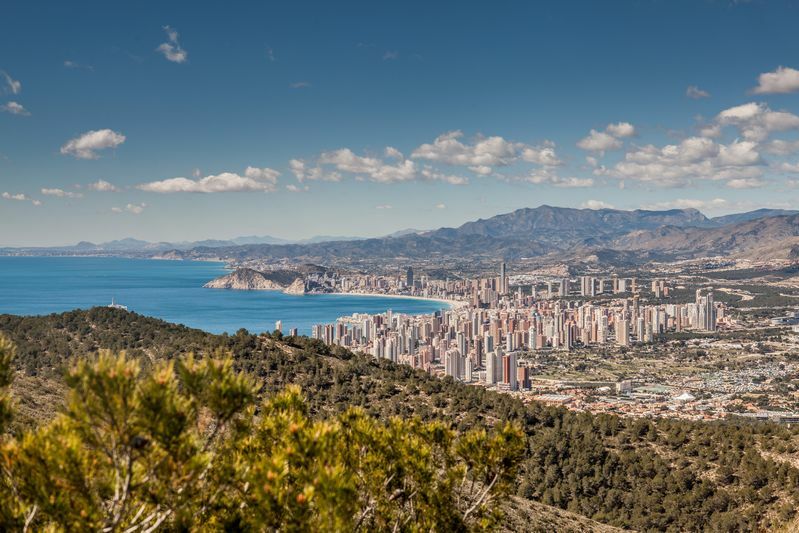 The backdrop to Benidorm is the magnificent mountain range known as Sierra Helada. 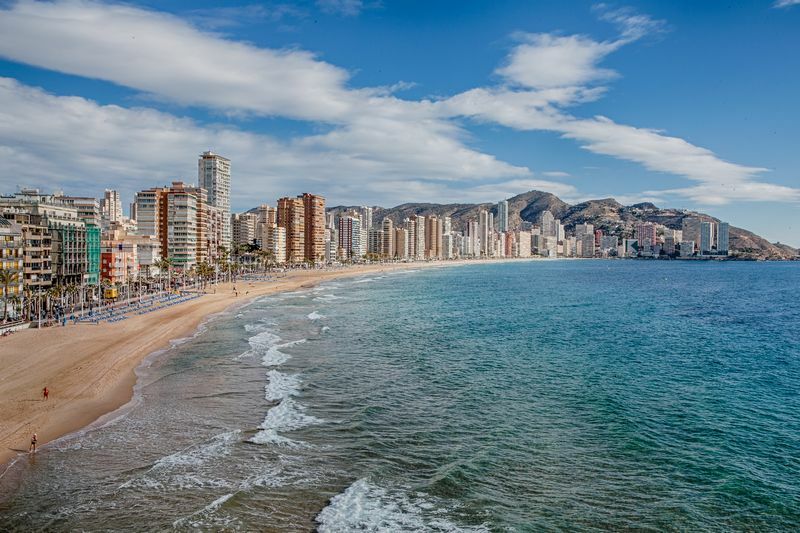 Benidorm is certainly a place you will either love or hate, as the opinions are divided. Once a small fishing village, it has since been heavily developed – many would claim overdeveloped – but then again it is good to have some resorts with lots of bars, restaurants and nightclubs. Yes, Benidorm is busy and noisy but that attracts some great entertainers and lots of men and women who are looking for a good time. If you want a quiet, relaxing traditional Spanish tourist resort there are plenty of other alternatives to go to. Clearly it has something going for it, as over 4 million visitors come here every year. Many of these are on organised package holidays from Britain where everything is included from flights, airport transfers and accommodation to food and drinks (all-inclusive). 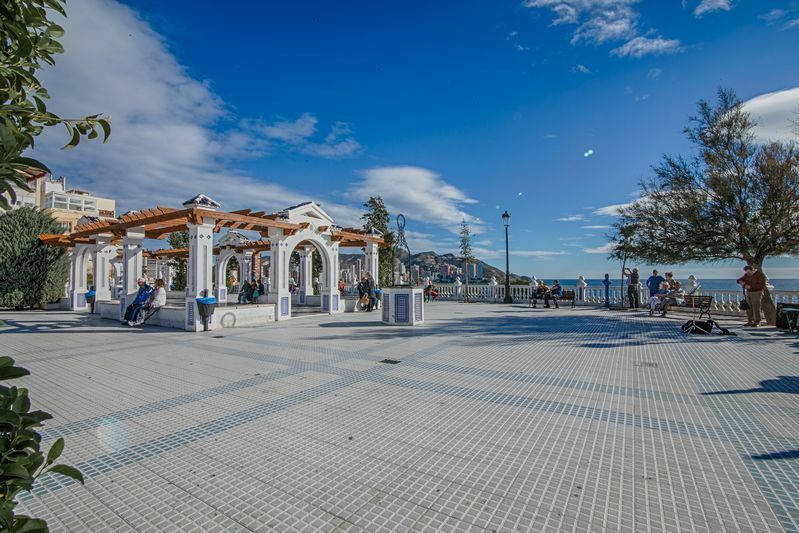 If you are looking for a no-frills holiday to Benidorm, a package holiday is usually your best option for finding a cheap holiday deal and is ideal for pensioners looking for some winter sun. 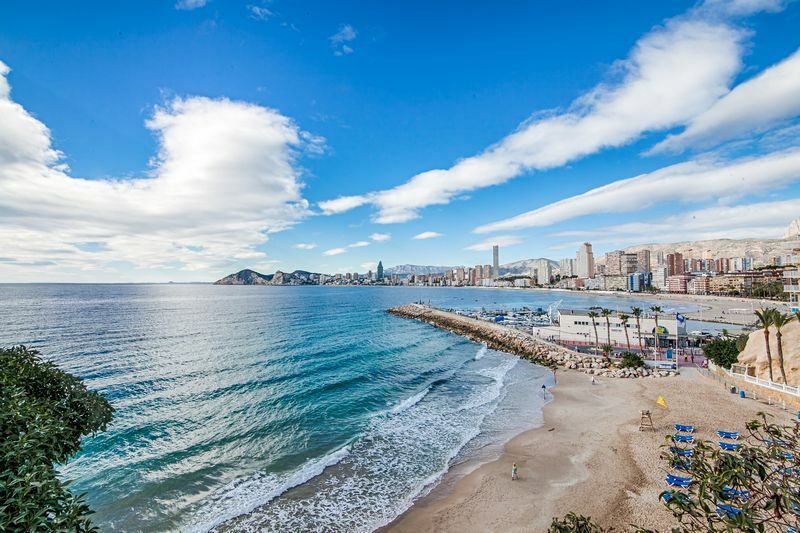 The reason Benidorm has become so large and so popular is the beautiful setting with three miles of fine sandy beaches and crystal clear waters with wonderful all-year round climate and hot sunny weather in the summer. 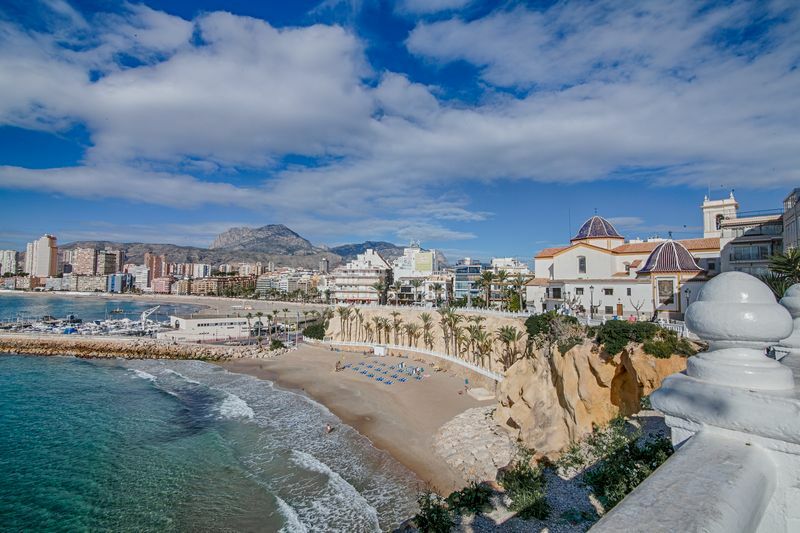 There are two wonderful long sandy beaches, Playa Poniente (sunset beach) and Playa Levante (sunrise beach) separated by a rocky promontory, the Canfali vantage point that offers great views in every direction. At the foot of this lookout point is the Mal Pas cove. 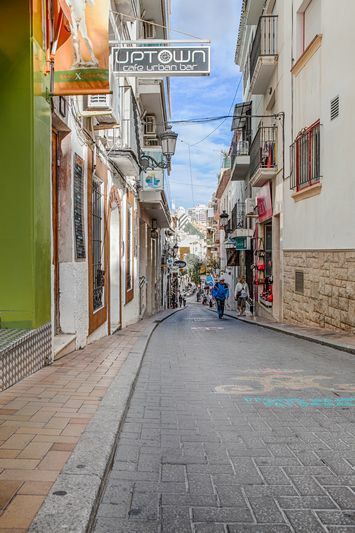 Benidorm also has a lovely old town area in between the Levante and Poniente beaches. 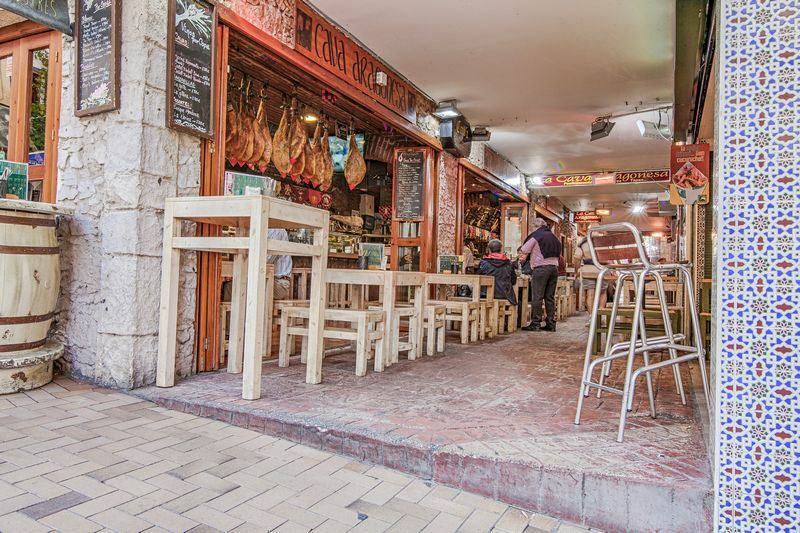 This area is very traditional, very Spanish and quite peaceful. This area is centred around the Canfali vantage point (Balcony of the Mediterranean) and the Parque de Elche. 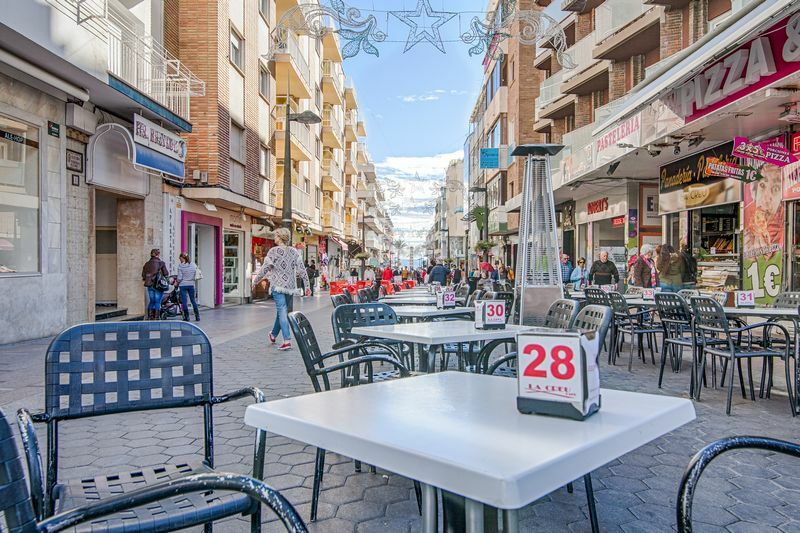 The old town district has all the major shops of Benidorm as well as some good bars. The streets are narrow and winding. Be sure to see the San Jaime church with its landmark blue dome.